Queensland is synonymous with beautiful weather and beaches. Put that combo on an island and you have yourself the perfect tropical escape to relax, unwind, and focus on spending time with loved ones. Discover Queensland has put together a list of our top 5 island holidays - read on for inspiration on your next escape. This World-Heritage-listed marine park is a coral cay on the tropic of Capricorn. 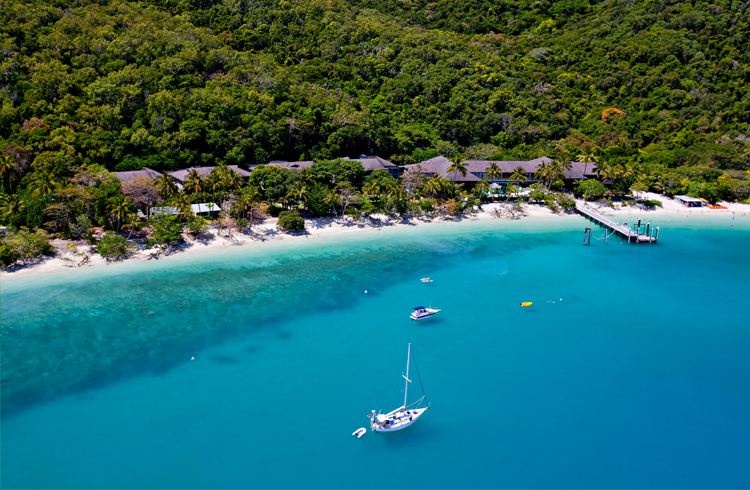 This sounds very tropical and far away, while the former is correct, the latter is not so much – this resort is located only 80 kilometres off the coast of Gladstone. From September to March each year, Heron Island is the breeding home to Loggerhead and Green turtles. This spectacular event occurs when the turtles return home to lay their eggs in the exact spot they were hatched, which you can watch from the comfort of your room! Other bonuses include a lack of traffic – this island is for guests only! There are plenty of ocean activities, as well as the option to do nothing but swim, lay by the pool and enjoy the pool bar! 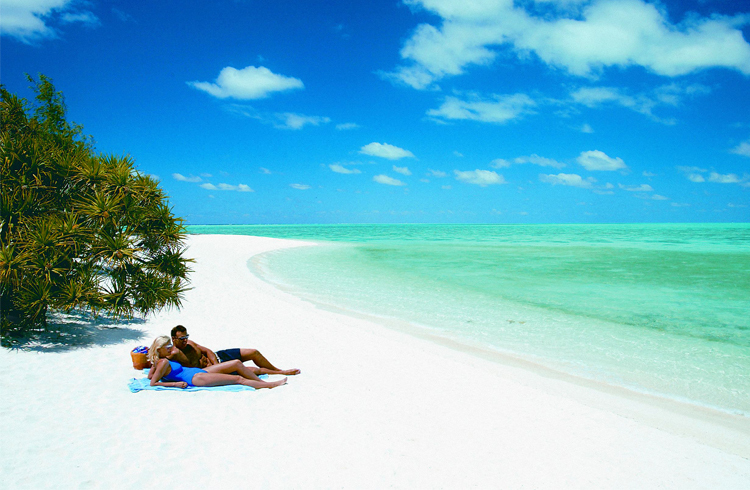 This could possibly be our favourite island – it’s one of the easiest to get to, just 30 minutes from Cairns. 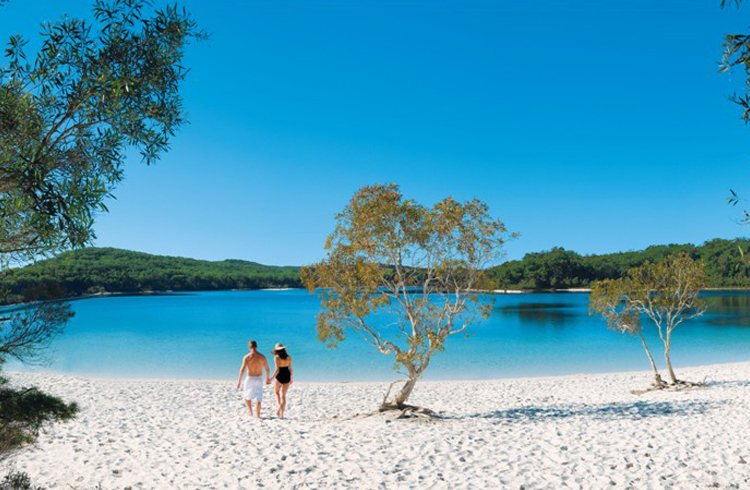 It has luscious national parks and is also home to Australia’s best beach – Nudey Beach, as voted in 2018! You can partake in several activities including enjoying the ocean water trampoline, glass bottom boat tours, kayaking, snorkelling, bush walks, scuba diving on the Great Barrier Reef and more. However, doing nothing but relaxing is also an option with an incredible pool and pool bar, as well as several restaurants. The resort rooms are lovely, but the ocean suites boast incredible views over your impressive surrounds. The world’s largest sand island, Fraser Island is World Heritage Listed alongside the likes of the Great Barrier Reef, Kakadu, and Uluru. It’s a place of precious beauty, and once you’re there, you’ll see why. Kilometres of white sand beaches open up in front of you, interrupted only by the strikingly coloured sand cliffs and crystal blue waters. The island is home to over 100 freshwater lakes, some tea coloured from the trees, others are clear and blue ringed by sandy beaches. Ancient rainforests rise into the sky – this is one of the only places in the world you’ll find tall forests on sand dunes. The resort has rooms from hotel to 3 bedroom suites to accommodate all family sizes. There is an eco program for the kids, four restaurants to choose from, cruises, 4WD tours, Segway adventures, ranger guided bush walks, day spa, two pools, fishing clinics, paddling tours and more! We couldn’t write a list of amazing island experiences and leave Orpheus Island off. This incredible slice of paradise comes with everything you could dream of, then adds a little extra special. But you do pay for it. This is on the higher end of the resorts on the list with nightly rates over $1000 per night. 80 kilometres north of Townsville, just 28 guests can indulge in this island escape at one time. The island stretches itself over 11 kilometres of pristine coastline with turquoise waters, national park, and world heritage listed marine park. The resort offers dinghys, kayaks, SUPs, catamarans, snorkelling, fishing and nature walks complimentary, and you can also partake in private boat charters, diving, Hinchinbrook island tours, culinary master class with chefs, mixology classes and more for an additional cost. The accommodation is inclusive of all meals and drinks including a nightly degustation. This is luxury at its finest. 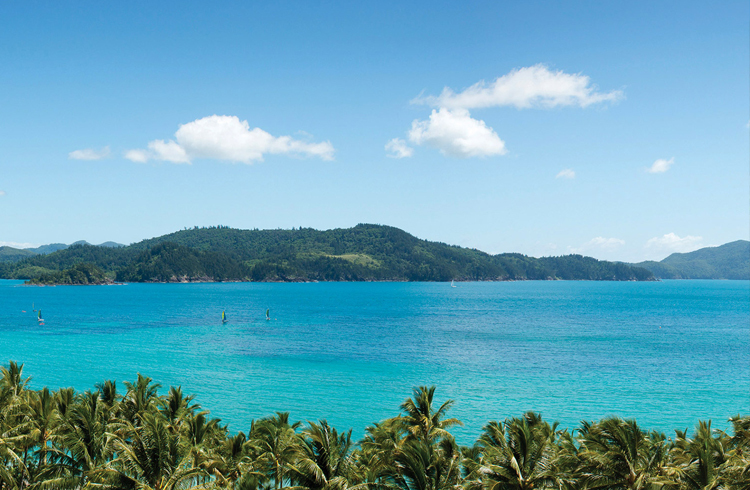 The most well known of Queensland’s islands, Hamilton Island is popular for a reason! Beautiful beaches, restaurants, water sports, exotic flora and fauna, coral reefs, and activities until the cows come home, this island has it all. It is larger than the aforementioned islands, and is a laid-back, yet busier island. You will find day spas, helicopter tours, night clubs, island cruises, kids clubs and several resort options to choose between. 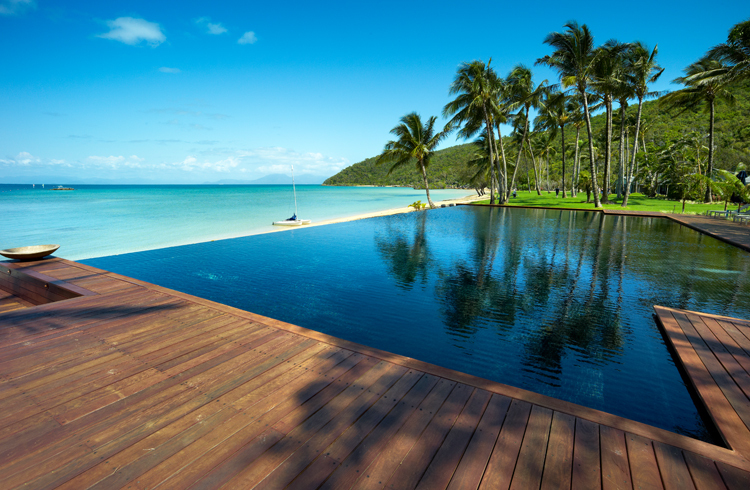 You can arrive a few ways including sailing out by boat from Airlie Beach or simply flying directly into Hamilton Island airport. The choice is yours! This island boasts an incredible amount of activities, ease of access, tropical island beauty and your choice of resort from luxury, to family options, to holiday houses and more. Not sure which island escape takes your fancy? Speak to the team at Discover Queensland to decide on a holiday perfect for you – call 1300 788 553.